Today (Monday, October 15th, 2012) Google shows an excellent animated Doodle for the 107th anniversary of Winsor McCay's Little Nemo in Slumberland. Little Nemo is the main fictional character in a series of weekly comic strips by Winsor McCay that appeared in the New York Herald (from October 15, 1905 – July 23, 1911) and William Randolph Hearst's New York American newspapers(September 3, 1911 – July 26, 1914). The strip was first called Little Nemo in Slumberland and then In the Land of Wonderful Dreams when it changed papers. The original set-up of the comic revolved around the nightly dreams of a little boy named Nemo (meaning "nobody" in Latin). The purpose of his early dreams was to reach 'Slumberland', the realm of King Morpheus, who wanted him as a playmate for his daughter, the Princess. The last panel in each strip was always one of Nemo waking up, usually in or near his bed, and often being scolded (or comforted) by one of the grownups of the household after crying out in his sleep and waking them. Watch below the video showing the Google Doodle. 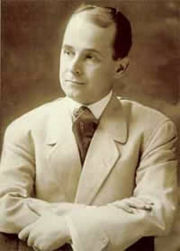 Winsor Zenic McCay was born in Spring Lake, Michigan, perhaps on 26 September 1869. Winsor McCay is best known for the comic strip Little Nemo (begun 1905) and the animated cartoon Gertie the Dinosaur (1914). For legal reasons, he worked under the pen name Silas on the comic strip Dream of the Rarebit Fiend. A prolific artist, McCay's pioneering early animated films far outshone the work of his contemporaries, and set a standard followed by Walt Disney and others in later decades. His comic strip work has influenced generations of artists, including creators such as William Joyce, André LeBlanc, Moebius, Maurice Sendak, Chris Ware and Bill Watterson.